Takisha is the Portfolio Operations Manager with Heritage Wealth Advisors. She provides portfolio support and performs many of Heritage’s day-to-day back office functions, including account maintenance and cash management. Takisha joined Heritage from the VA Farm Bureau Mutual Insurance Company where she worked as a Cash Specialist for three years. 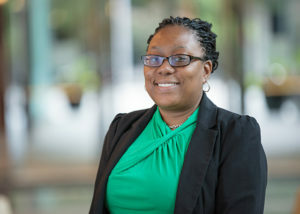 Takisha was also employed with Capital One Financial Corporation for eight years where she held two key positions: Accounting Associate and Fraud Detection Specialist, both requiring a high level of dedication on her part. Takisha earned a Bachelor’s Degree in Real Estate at Virginia Commonwealth University.